We at Wareable were delighted to hear that Garmin was ready to take another bite of the fitness tracker Apple, when the Garmin Vivosmart was announced back in September at IFA. Hot on the heels of the Sony SmartBand Talk, that was also unveiled at the big tech expo, the Garmin Vivosmart takes the much-loved Vivofit a step further by providing users a combination of smartwatch and activity tracking features, in one single slick looking device. On board, you'll find the same fitness tracking feature set that was on the Vivofit, as well as smart notifications from your smartphone for things like incoming calls, emails, texts and social media messages. But do all the extra features work as they should? 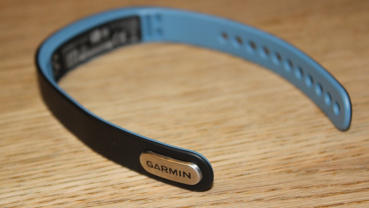 And has Garmin taken its eye off of the ball when it comes to the basics of a fitness band? 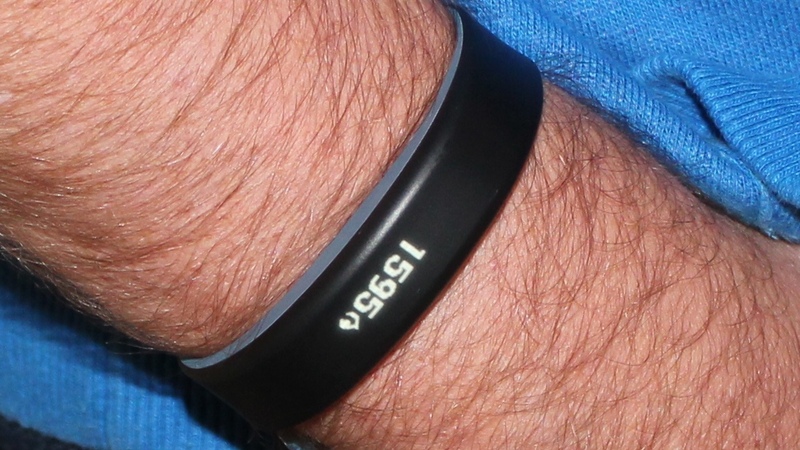 There's certainly nothing cheap about the price-tag of the Garmin Vivosmart. 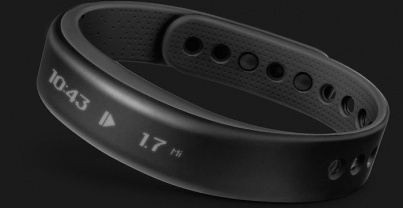 At £139 in the UK, or $169 Stateside, you're looking at a fitness band in the upper echelons of expensiveness. Only the Microsoft Band and the Samsung Gear Live are more expensive, but the former boasts built-in GPS and the latter an awesome coloured Super AMOLED display. However, there's nothing cheap about the design either. 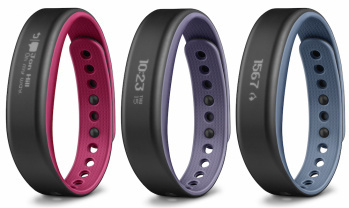 The Garmin Vivosmart oozes class, from the premium, smooth rubberised finish (with five different shades on offer to compliment the dominant matte black), to the neon blue illuminated OLED display. That display is the standout feature of the design and, unlike some other curved fitness tracker OLED displays that we've come across in the past – Huawei TalkBand B1, we're looking at you – there's nothing retro about this monochrome offering. It sits behind the matte black overlay, classily shining through without being obtrusive or difficult to read. It may only have a pixel count of 128 x 16 but what it displays, it does with clarity, and with a style that will turn heads. You have to strain you eyes to see where the OLED display ends and the rubber strap begins. The strap itself does up via the usual Garmin double pop clasp and you get a Garmin VivoKeeper in the box. Don't get too excited though, that's just the ridiculous name Garmin gave to the rubber loop it sent out to Vivofit users after getting numerous complaints about the strap coming undone. 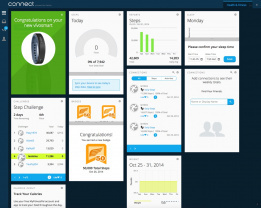 For the Vivosmart, it's not really needed – if anything it adds unnecessary bulk – and you probably won't even use it. Yes, the Garmin Vivosmart packs in smartwatch features and yes, it's probably the more 'exciting' aspect of the device but come on, if you're considering a Vivosmart, you're considering it because of its activity tracking options, be honest. And there's plenty – and all the ones you'd expect. So that's step counting, calorie tracking, distance recording and sleep monitoring. 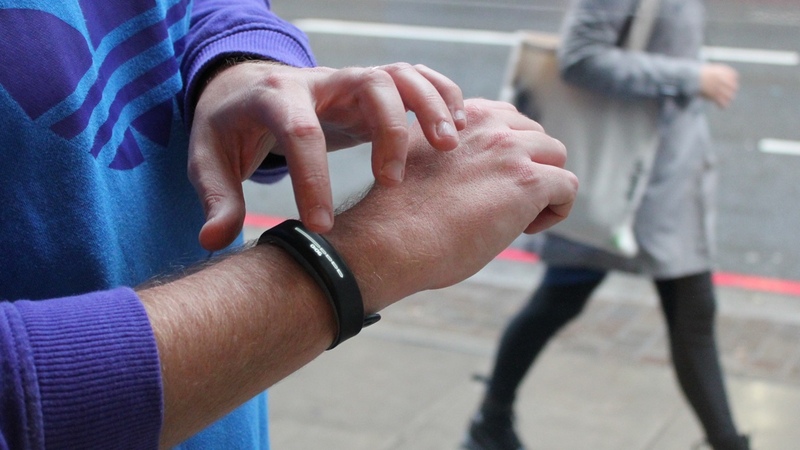 Step counting is pretty basic, we know, but it's a key aspect for fitness band wearers. 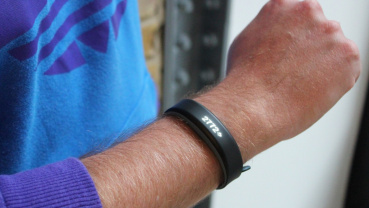 And we're happy to report that, with the Vivosmart, the counting seems to be on the money. As on the money as a couple of other high-profile trackers we compared it to at least. As usual, the aim is to hit your daily step goal and there's a nice touch with the Vivosmart whereby a new goal is calculated for you and altered each day, based on the personal details you offer up to Garmin's Connect platform (which we'll elaborate on later) and your recent performance. This is a nice function for people who could perhaps become disheartened by not hitting 10,000 steps everyday. 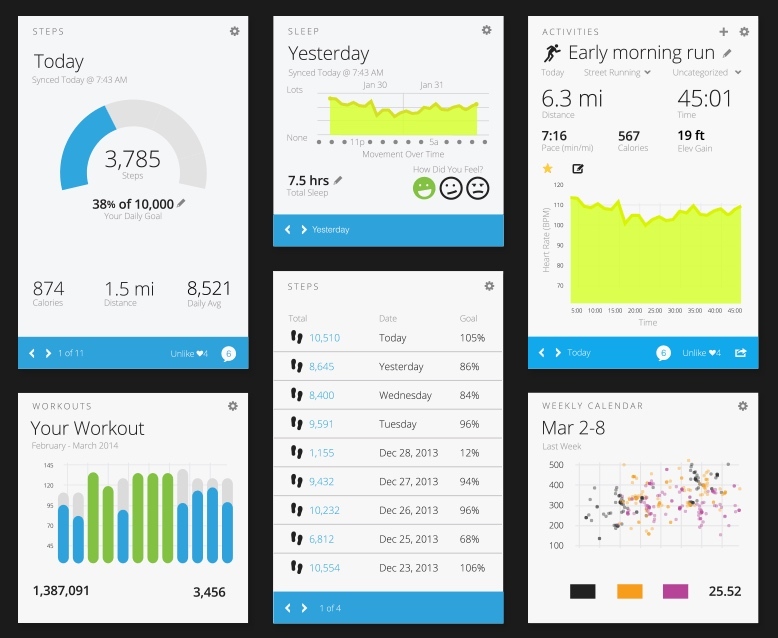 Calorie counting is done using an algorithm based on your personal metrics combined with your activity, and distance recording is estimated using a calculation from the accelerometer; unlike the new Microsoft Band there's no built-in GPS on the Vivosmart. Sleep monitoring isn't great; it's basic at best. Sure, it will tell you how long you've slept for and what your movement in the night is – but there's no details of deep sleep patterns, or any smart alarms to wake you when you're in light sleep. There is a silent alarm that will wake you with vibrations, but this simply goes off at the time you set it for. Sleep monitoring isn't automatic either. You need to press and hold the display to bring up the menu to select it. You can also select to start a run from this menu. As we mentioned, there's no GPS on board, so you shouldn't use the Vivosmart as a dedicated running watch, although we did find that it was pretty accurate compared to a variety of GPS watches when out and about – usually within half a mile or so. That's obviously no good for serious training but it's not a bad guestimate to have for casual joggers. Cycling and heart rate monitoring aren't included as standard, although the Garmin Vivosmart will play nicely with Garmin's ANT+ devices so you can bring in your pedal or BPM details to the band. The Garmin Connect platform, either on your PC or your smartphone, is where you'll see all of your activity visualised. Unlike the Vivofit, you won't need an ANT+ USB adaptor to send your data to the web via a PC - you can either plug it in using the accompanying USB charging cable, or simply sync to your smartphone using Bluetooth, which will then talk to the web portal over the waves of the internet. If you're using the former method, you have to press and hold the display to get the USB mode working, otherwise it simply charges and the Garmin Express connection software won't recognise it. The Garmin Connect app and web portal is pretty comprehensive - it's the same platform that more specialised wearables such as the Fenix 2 or the Forerunner 620 use. 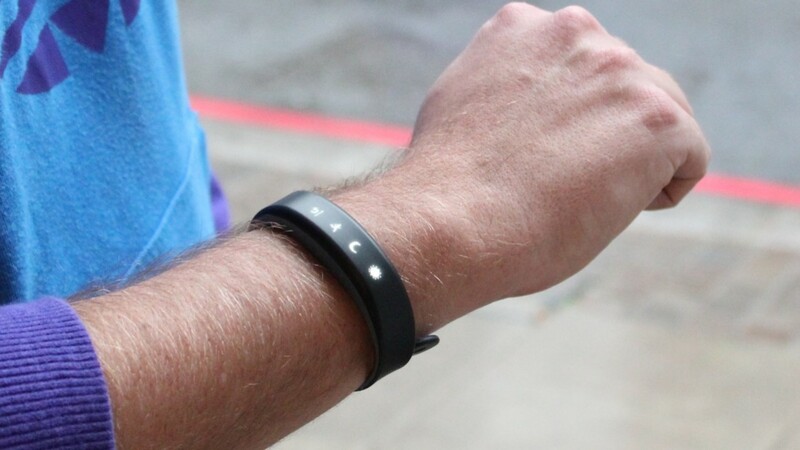 However, if all you're using is the Vivosmart, it is quite basic and lacks some of the slick visual elements of the Jawbone, Adidas or Nike platforms. 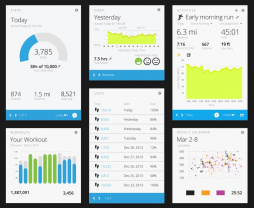 However, being able to combine data from your Vivofit and other Garmin devices in one place is a big bonus and Garmin does seem to be continually upgrading Connect with new features. You can also sign in using an existing web account like Yahoo or Google, meaning one less password to remember. Essentially, the Vivosmart took the fitness tracking features of the Vivofit and plunked in a load of smartwatch functions as well. That means alerts for the likes of incoming calls, emails, texts and social media messages. 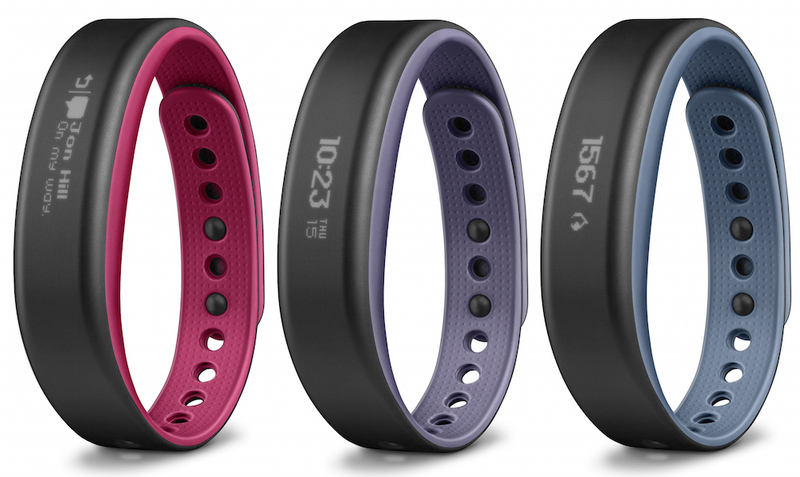 Basically, anything that hits your notification screen on your smartphone, will hit the Vivosmart. There's no way of choosing just texts and incoming calls, or stopping every social media update from popping up. Sure, you can turn off certain app notifications on your phone but there are some updates you want to see on your phone but not on your wrist. Sadly, there's no way of differentiating. It's all or nothing. That's not a problem that's unique to the Vivosmart, but it's still annoying. Also, the message centre of the Vivosmart is a bit tricky, and not just because it's awkward scrolling on such a small display. Messages often stay marked as unread on the device, even if they are long gone on the paired smartphone. Niggles aside and it is nice to see who's calling you without having to take your phone out of your pocket and it's great the Vivosmart displays the whole message and not just a preview. The touchscreen OLED is your main point of contact, quite literally. You can amend the brightness and auto-display options as you see fit but essentially you'll see a blank black bar until you flick your wrist – upon which you'll be presented the time (or another home screen of your choosing). A double tap also wakes it up and then it's a case of swiping sideways to see message count, distance covered that day, steps against step goal and calories burned. A long push brings up the icon-led menu bar that we've mentioned before, where you can choose to enter sleep mode, start a run or alter the brightness. The touchscreen is very responsive and, unlike a glossy smartphone display, doesn't show any smudges or fingerprints due to its matte rubberised coating. The OLED display will, of course, light up alerting you to any notifications or incoming calls your phone receives and, if you stay still for too long, you'll get told to get active and your move bar will be displayed. This bar keeps a count of how long it is since you last showed any signs of life and is a good way of guilt tripping you into getting off of your arse. And no, a shake of the arm isn't enough to stop it counting…trust us. The Garmin Vivofit offered a whopping year of battery life and the bad news is that's been chopped to just a week on the Vivosmart thanks to that OLED display and the smart notification features. However, seven days isn't a disgrace – it puts it on a par with the likes of the Nike Fuelband and the Fitbit Flex. Charging is done using an absolute monster of a charging clip – yes, another USB cable for your collection, we're afraid. 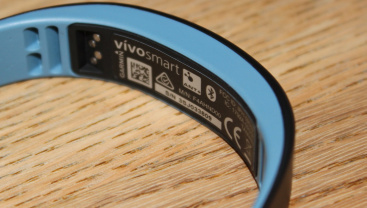 The Vivosmart is 5ATM certified, meaning it should have no problems going in the shower, bath or pool. The Garmin Vivosmart is a fantastically well-designed and well-built bit of wearable tech, with a slick display and a wealth of basic, but accurate, fitness tracking options. The smartwatch notifications work without issue, albeit somewhat overwhelmingly at times, and the Garmin Connect platform is definitely getting better with age. It’s a great product and one we highly recommend….if you’ve the bank balance for it. Sure, it’s not a wallet busting price-tag by any stretch but with the Microsoft band setting new standards and the soon-to-arrive Fitbit Charge coming in £40 cheaper, it might be a touch overpriced.